The Lowdown: Soothe is the world’s largest and fastest growing on-demand massage provider, launched in London earlier this year and just launched in Manchester. Already a hit Stateside where its always been easier and, seemingly, more part of routine to have a massage, the group have now set their sights on the UK. Soothe offers deep tissue, Swedish, sports, and pre-natal massages daily between 8am and midnight. Yup, you can have a massage even if you pull a very late one at work. Massages are fixed-price per person, and Soothe takes care of gratuity. Why: Because it’s utter bliss having a massage at home, without any faffing back on the tube and finding your way home. You can literally stroll off to bed straight after. The therapists are top notch; Danielle arrived and magically transformed our lounge into an urban paradise and calm vibes. She had a two pronged approach with fingers of steel, yet a deeply calming presence. She even let herself out, allowing us to climb straight into bed. The dream. The Lowdown: You’re never not too far away from a Rush Salon, these guys have been slowing spawning across the capital in the last couple of years (they cooly opened five branches in 2016). 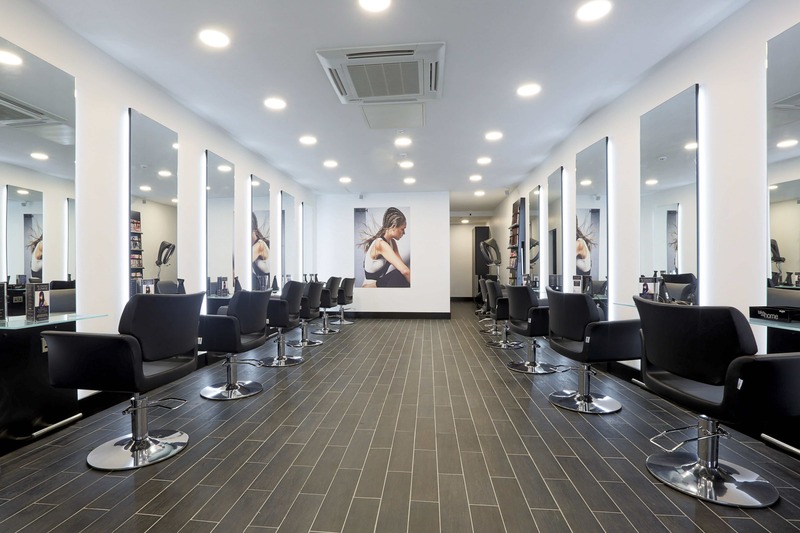 Their latest outpost in Shepherd’s Bush has brought some more needed sass to the area, and the expert team are on hand to offer advice and tips to fashion savvy customers on everything from the hottest hair trends to specialist services like extensions and the Brazilian blowdry. Why: You need a place which can turn your sad locks into a luscious barnet; the place where their beverage selection is ludicrously good, and a place where the staff are friendly, and have an eye for what works. You get all this and more at Rush Salon. The staff will advise on what will look good and suit your face, and they really excel in the colour department. From balayage and ombré to a creative colour change and everything in between – the colour team are on hand to give your hair a lift. They also offer express hair treaments for when you’re in a hurry, and just want a quick boost for easy, beautiful hair. The Lowdown: Blade isn’t a hairdressers as such, oh no, they’re a hair club. 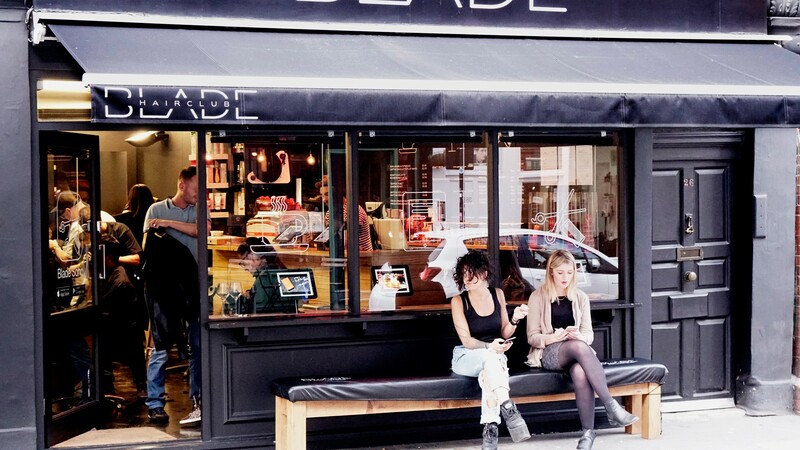 Situated in the beating heart of Soho, Blade don’t do awkward chat, or small talk, in fact it’s quite the opposite. Here it’s a far more social event: you don’t just come for a blowdry, you come to go hair clubbing. We don’t know who comes up with these terms, but we’re digging it. Hair clubbing is about having a blowdry with a few bevvies, and a few musical bangers thrown in for good measure too. Why: Who doesn’t want a blowdry whilst sipping on an Old Fashioned with tunes pumping? We’re in. They’ve turned a trip to the salon into a social experience. You can bring your mates, order cocktails from the menu and kick back and relax while their team of experts work miracles on your locks. They turned our dry, limp mop into a healthy head of blow dried hair. And even if you don’t want to drink, you can grab a coffee, or a hot chocolate. Which is, by the way, really ruddy tasty. The Lowdown: Back massages are our vice. 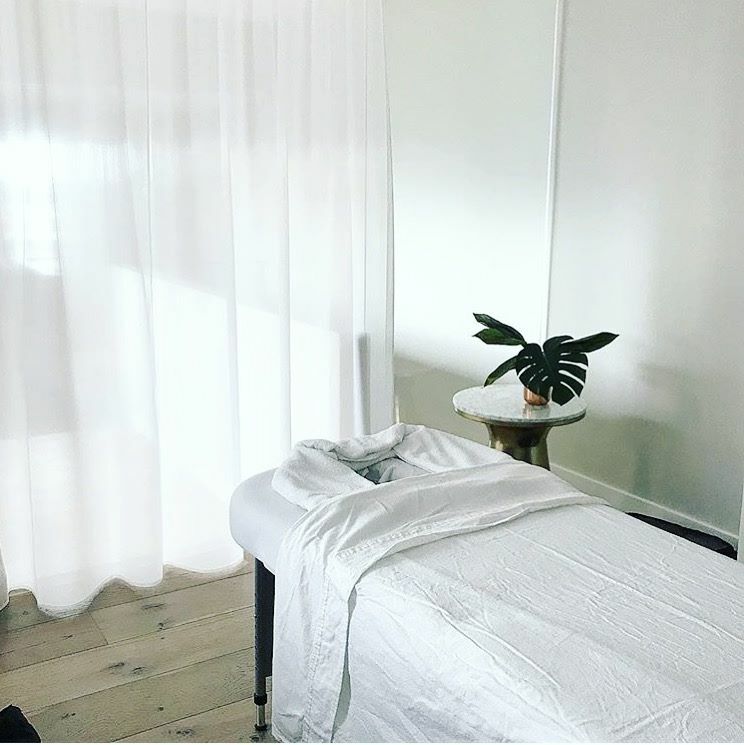 We can’t get enough of them; scented candles, pan pipes, a therapist attending to all of our aches and pains – a good massage is a hard to beat. If, like us, you enjoy a massage (let’s face it, who doesn’t? ), the kokolokahi body therapies are excellent. kokolokahi is a brand of essential oils that have been passionately blended using the finest ingredients to create optimum results and a sense of wellbeing. And they’ve just launched their new massages at achingly stylish Third Space Spa in Canary Wharf. Why: What is often the case with massages, is that the pressure is just a bit off. Not enough, or too much – you can come away not feeling suitable refreshed. 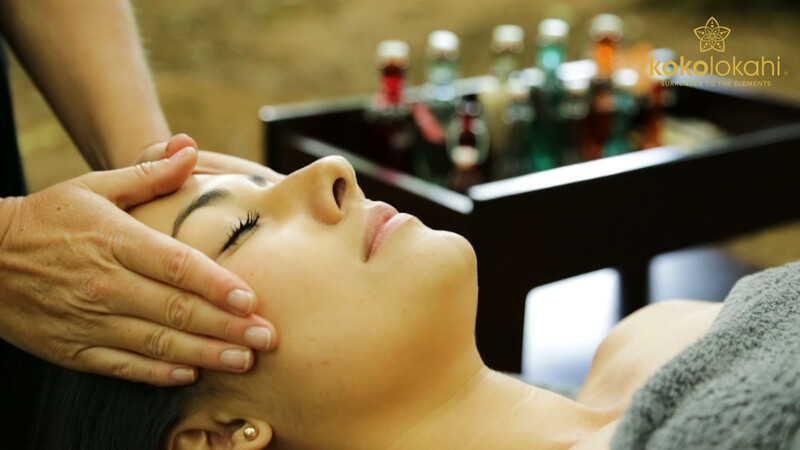 But this is where the kokolokahi massages are different – each kokolokahi product in the range has been created around an element to evoke an emotion based on the blend of essential oils, and you can to choose which one you prefer by smelling the oils at the start of the massage. We were impressed by the techniques and oils used, and we left feeling revived before we had to bundle back on the Jubilee Line. 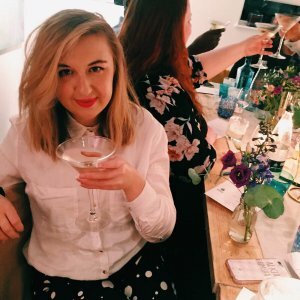 The Lowdown: Prettly is a website where busy ladies can book beauty treatments delivered directly to their home or office in London (mainly zones 1-4). It’s genius. Prettly’s goal is all about making beauty treatments easy, affordable and comfortable as possible, without losing the high quality standard. And now don’t have to leave your sofa for a fresh coat of paint. Why: Prettly started off doing nails only, and now offer hair styling, makeup and hair removal treatments. They are a by-women, for-women company. It’s super simple: just select what treatment you’re after, your time, address, and Prettly will organise the rest. We say, one of the best home beauty services around.